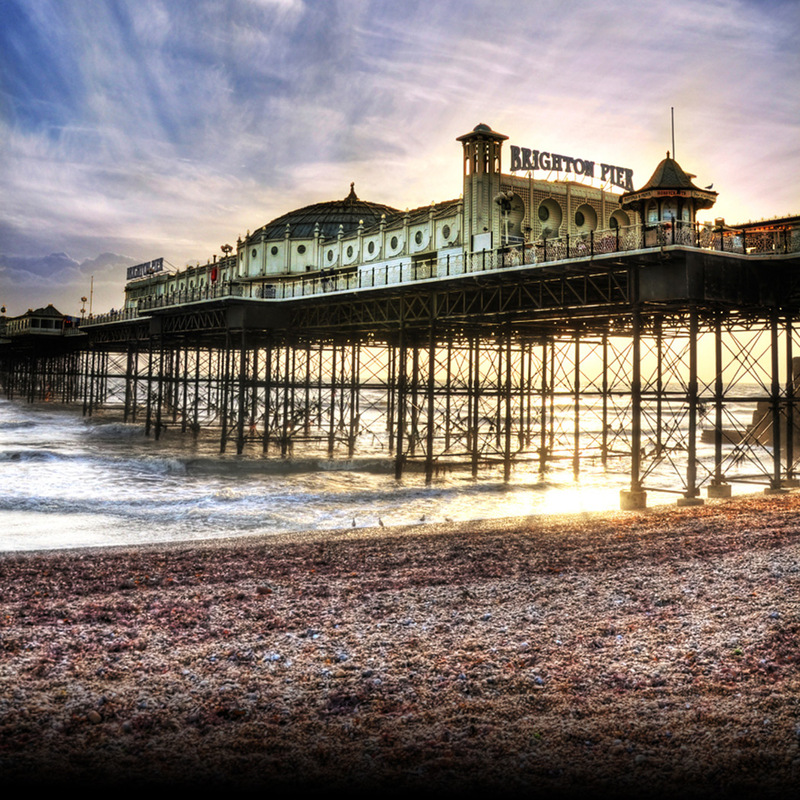 Notorious for being one of the largest resorts on the South Coast, Brighton, come rain or shine, is popular during all seasons. Its eccentric night life coupled with its diverse communities makes for an incredibly liberating and refreshing experience. Just imagine London, but by the sea! You will be eligible for 15% discount if you are in a group of a minimum 6 people. Please apply “brighton-six” coupon. Alternatively, Please contact us on 01206 589000 to redeem your discount. The above offers are not valid in conjunction with any other offer. We will depart from the University of Essex Campus (Knowledge Gateway Car Park) at 8:00am with the aim of arriving to Brighton at 10:15am depending on the traffic. On arrival in Brighton, we will see the Royal Pavilion – an exotic palace situated in the centre of the city – where you will get your first chance to perceive the colourful history that Brighton has to offer. In addition, you will also see the Brighton Dome, a multi-arts venue which is known to bring all sorts of art to all sorts of people whether it be comedy, music, literature, film and visual art. You may then visit the Art Gallery and Churchill Square which is home to an excellent selection of UK stores (around 80 in total). You will have some time to relax and experience these great retail chains. After some relaxation time, we then suggest to proceed at 4pm to the famous Palace Pier which promises nothing but pleasure. This is undoubtedly the main attraction in Brighton, thus, you may allocate the bulk of your time there in order to fully capture both the sounds of the shingle and the seaside entertainment. Boasting a vast number of rides and attractions, the pier aims to capture the thrill seeker amongst you. If you are not one for rides, we are sure that the attractions will not obscure the deep serene of the South Coast’s waters should you wish to spend your time by the sea. We aim to depart Brighton at 18:00pm. Our expected arrival to the University of Essex (Knowledge Gateway Car Park) is at 20:15pm. The Royal Pavilion boasts a unique architectural design. Built approximately 200 years ago, the Pavilion mirrors that of an Indian Palace. Its décor is in an oriental style, too! Entrance into the Pavilion is included in the price. 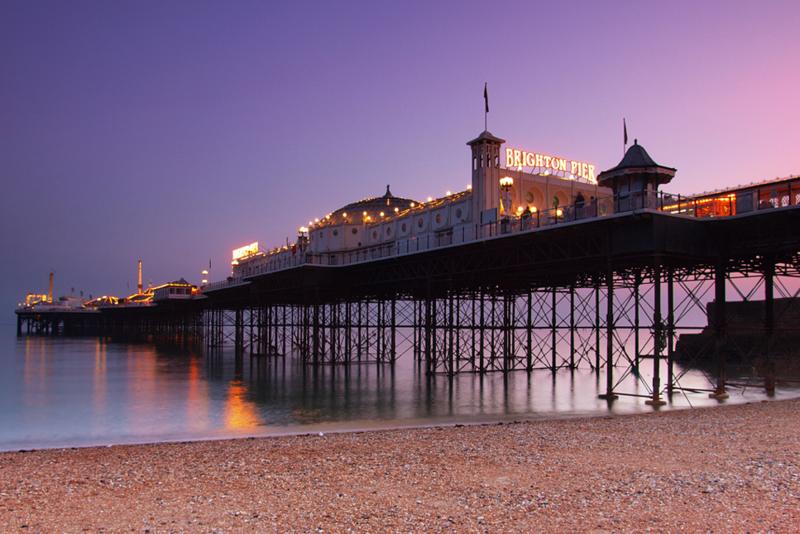 Originally, Brighton Pier was one of two impressive piers in Brighton. However, since the older West Pier was destroyed in a fire in 2003, Brighton Pier, constructed in 1891 and completed in 1899, remains the only pier offering great views, amusement rides, cafes and bars. Situated in Brighton’s cultural quarter, Brighton Dome has had many guises in its incredibly rich 200-year history. Once a temporary hospital, the Dome now offers an eclectic mix of events covering all art forms. From comedy, literature, music and film, Brighton Dome provides an exciting programme of events for all eyes to see. Tours are available to get up close and personal. Located in part of the Prince Regent’s old stable complex, the Brighton Museum and Art Gallery is a delightfully accessible museum with a permanent collection spanning ancient Egyptian bits and bobs, Brighton seaside memorabilia, and first rate post-war British art. Past exhibitions include Sickert and Paula Rego. Entrance is £4.20 for students. For all you busy shoppers, Churchill Square boasts and impressive selection of 80 stores. It is also a spectacle for those who simply want to relax and embrace the surroundings. Both an innovative and modern shopping centre, Churchill Square offers the best in high street shopping. Disclaimer: Please note that admission to museums and some attractions will require an entrance fee that is not included in the price. Also, the itinerary above is what we suggest during the day. So, please feel free to have your own plans.